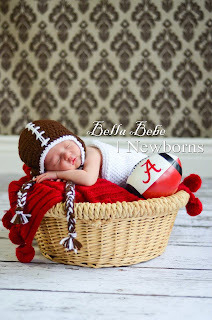 Happy Baby Crochet: Getting Ready for Fall and Football! 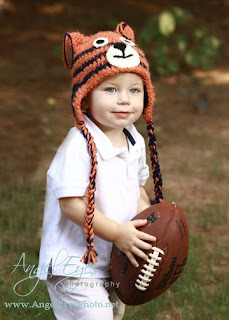 Getting Ready for Fall and Football! Things have been super busy at my house this summer. With two little kids at home (one with a fractured foot), it has not been an easy going summer, BUT now it's time to start thinking about Fall time....mmmm, my favorite season! What can I say about Fall? Well, let's see.....the colors are gorgeous, the clothing, the leaves, the decor, football, scarecrows, pumpkins, yummy smells, fun crafts with my kids. I get so excited just thinking about it! 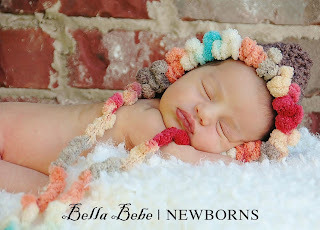 So, due to my whop-whop EXCITEMENT about Fall , here are some little hats to share with you. 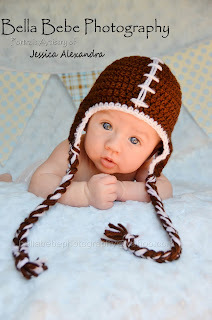 If you need a cute photography prop for a newborn, search no further than my shop: http://www.happybabycrochet.etsy.com/. 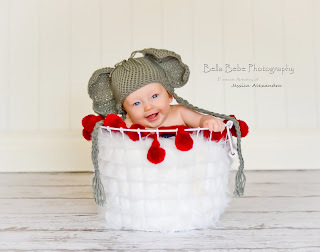 NEW - Elephant Hat (this is perfect for Alabama fans). 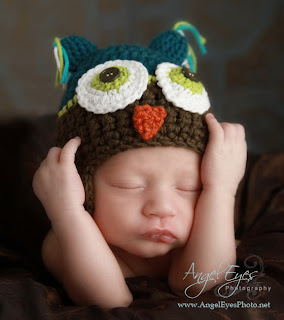 Newborn Owl Hat - organic cotton and superwash wool, yummy! 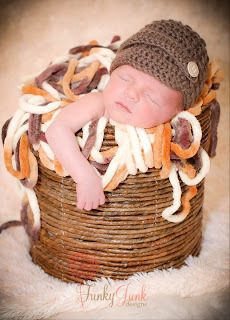 ﻿I am also working on the most adorable little Newborn Scarecrow hat. I can't wait to share it! Well, I hope the rest of your summer is fun and restful. Summer goes by way too fast. I pray you are renewed in the Lord this day! Hello Jenny...your photos are just beautiful!